The future is in apps you don’t open. “We’re going to move away from the era of ‘I have hundreds of apps but never think of using them’ towards ‘I have these cool apps and they take care of me'”. This is David Lieb, co-founder and CEO of Bump, on the sea change in design philosophy that underpins Pay With Square and his company’s new photos apps Flock. It centers around the idea that apps shouldn’t force us to add new behaviors. Instead, they should strip away needless, interruptive steps from themselves and the way we live our lives, until the solutions to our problems become irreducible. Bump was originally conceived in a quest to reduce friction in meeting new people. Lieb and co-founder Jake Mintz found it archaic that, with all the sensors and communication channels embedded in our phones, people were still fiddling to type in each other’s contact info rather than continuing their conversations. Bump lets people physically touch their phones to instantly exchange all their email addresses and phone numbers, then get back to truly interacting. Over the past few years, there’s been a trend of building standalone apps instead of cramming more features into a single app. Facebook broke out Messenger and Camera from its bloated primary app, and Google offers a suite of standalones for Gmail, Earth, Voice, and Translate. When you open these apps, you find they’re dedicated to nailing a specific function or use case. But the next phase of design eliminates opening the apps altogether. As we download more and more, they become harder to find on our devices, and we become more likely to forget about them. Folders and in-device search may not make things much easier. What we need are apps that know when we need them. 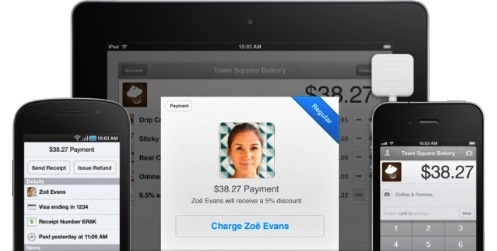 Pay With Square (formerly Card Case) is a pioneer in this movement. When you go to pay a merchant using the service, your name and face appear on the merchant’s checkout app verifying your identity, and you’re done. You don’t swipe a card or even pull your phone out of your pocket, meaning instead of adding a behavior to the payment experience, it actually eliminates one. Install Flock and take photos with whatever app you want, but instead of interrupting your moment with friends or in front of a beautiful sight to share them, you just put your iPhone away. 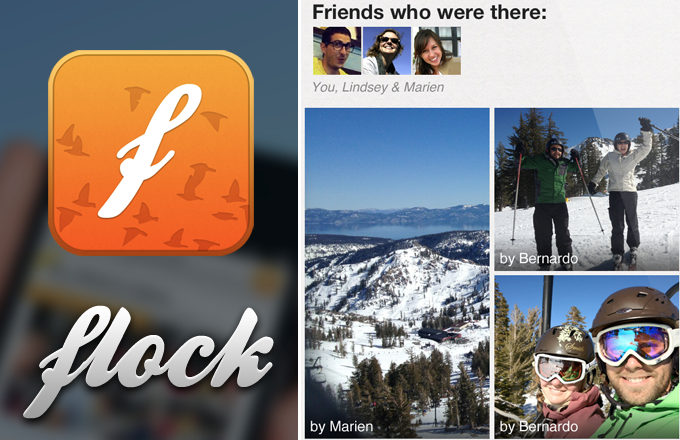 After you’ve left the geo-fenced area, Flock sends you a push notification leading to a pre-populated album of your photos. It scans the photo libraries of your Flock-using Facebook friends for people who also took photos at the same location, and suggests you share with them. Then they get a push, and can add their own photos to the collaborative album. For now, developers are limited by the sensors built into our devices and the data they transmit, including GPS, accelerometers, and microphones. Combined with social APIs from the likes of Twitter and Facebook there are already plenty of existing apps that could be made simpler. And as we build connectivity into more dumb devices, and as our smart phones get smarter with technology like near field communication, even more opportunities will emerge. Apps needn’t merely translate physical activities into ones and zeroes. Developers should look deeper at the challenges we face each day, the little frictions, the wastes of time. The shortest path between Point A and Point B isn’t necessarily a straight line or a series of steps. Sometimes it’s folding the universe to erase the distance until the space between the problem and the solution becomes irreducible. I was so impressed with Flock that I asked David Lieb and he’s agreed to come talk about it at TechCrunch’s Facebook Ecosystem CrunchUp this Friday.